The standard home warranty is a one-year service contract that protects a resale home buyer against the cost of unexpected repairs or replacement of major systems and appliances that break down due to normal wear and use. Coverage is also available to home sellers during the listing and escrow period to help them keep unforeseen breakdowns from potentially delaying the close of sale. Do you need to be buying or selling a home to get a home warranty? In most cases, yes. We provide home warranties during a real estate transaction. Talk to your real estate agent and tell them you’d like to purchase home warranty coverage from Old Republic Home Protection. How does a home warranty help me? Old Republic Home Protection customers enjoy peace of mind, convenience, budget protection, and dependable service. No more searching the internet for a reputable repairman, no more hassles over the cost of repairs, no more budget-busting repair bills. We are available 24 hours a day, 7 days a week, 365 days a year. Request service online or call our Customer Service Department toll-free at 800.972.5985. Old Republic Home Protection maintains a network of qualified independent service providers in most areas. Call us to request service and we will send a service provider to perform your covered repair or replacement. Yes. Under most circumstances, when a covered item cannot be repaired, it will be replaced. Please review our Plan for complete coverage terms and conditions. What is the difference between my homeowner insurance policy and a home warranty plan? A homeowner insurance policy undertakes to indemnify (compensate or reimburse) the homeowner against damage or liability which might arise from some unknown or contingent event. 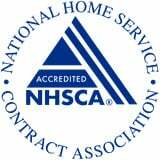 A home warranty plan is a residential service contract, and residential service contracts do not indemnify against losses; they repair or replace specified items in the home that fail due to normal wear and use. Old Republic Home Protection's one-year home warranty covers items not covered under a standard homeowner insurance policy, filling a critical gap in the protection of your home. For example, if your dishwasher leaks and water damages the floor, a homeowner's insurance policy may cover the damage to the floor, but not the repair or replacement of the dishwasher. With an Old Republic Home Warranty, your dishwasher is covered! A Trade Call Fee (TCF) is a “co-pay” that is due when a Service Provider arrives at your home. A TCF (or the actual cost of service, whichever is less) is due for each dispatched service request per trade, whether service is covered or denied. For example, if a Plan Holder requests service for the dishwasher, they would be responsible for paying one TCF to the appliance technician at the time of service. If that same Plan Holder also requested service for the heater, there would be two TCFs due—one to the appliance technician and one to the heating technician. However, if the Plan Holder requested service for the dishwasher and oven, only one TCF would be due because we would dispatch one appliance technician to repair both appliances! The TCF amount varies by state and/or Home Warranty Plan chosen. Yes! In most cases, your Plan is renewable. We will send an offer of renewal approximately eight weeks prior to expiration. The renewal notice will confirm the Plan fee, Trade Call Fee, and terms of renewal. Plans can also be renewed online quickly and easily!